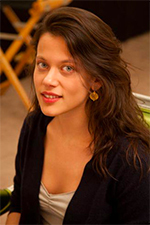 Nika Mavrody is the former Associate Editor and Social Coordinator at The Fashion Spot. She now lives in Berlin, where she reads novels and misses her cat. You can reach her by email here.